We are now reconciled to the fact that in any conflict — even when we are exercising our right of self-defense — we will either be condemned or, at best, accused of acting disproportionately. As critics predicted, Hamas interpreted this as a signal of Israeli weakness, which emboldened the organization to intensify and extend missile attacks to all major cities, including Tel Aviv and Jerusalem, sending the majority of the population to the shelters. 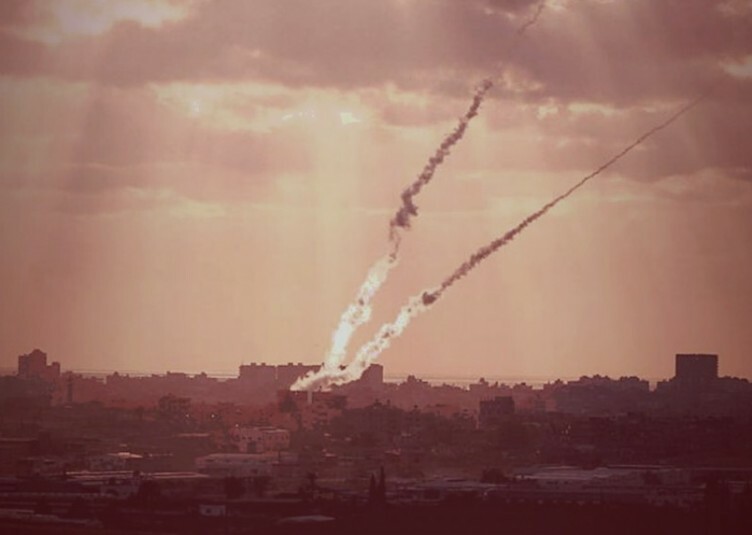 Hundreds of missiles rained down throughout the country, but Iron Dome has successfully intercepted rockets, avoiding massive civilian casualties and major dislocation on the home front. Iron Dome has proven to be another example of Israeli ingenuity in the face of crisis, but no system is foolproof, and we must gird ourselves for possible casualties in the future. The efforts undertaken by the Israel Defense Forces to minimize civilian casualties are unparalleled in the annals of warfare. Telephone calls are made in advance of targeting buildings to minimize civilian casualties, despite the fact that this allows Hamas to also vacate the premises. It should be noted that the U.S. has never felt obliged to provide advance notice to the families of terrorists to vacate buildings when its drones were employed to carry out targeted assassinations. Nevertheless, in a conflict of this nature, irrespective of all precautions, loss of innocent civilian lives is inevitable — especially in a terrain in which rocket launchers and command centers are deliberately located in heavily populated civilian enclaves, including hospitals and kindergartens. Furthermore, Hamas cynically employs civilians, including women and children, as human shields and it is Hamas who must be held accountable for the inevitably increasing number of civilian casualties. We are grateful to the American people and the successive administrations, including the current administration, for the generous aid toward our defense requirements. Although we appreciate that the U.S. administration expressed support for our right to exercise self-defense, we consider it intolerable and hypocritical for Obama and his spokesmen to blur the distinction between the terrorist aggressors and us, their purported allies who are acting in self-defense. Obama patronizingly urged both sides to display “restraint” and not be motivated by “revenge.” His special assistant and White House coordinator for Middle East affairs, Philip Gordon, was the keynote speaker at a “Peace Conference” in Tel Aviv under the auspices of the newspaper Haaretz. 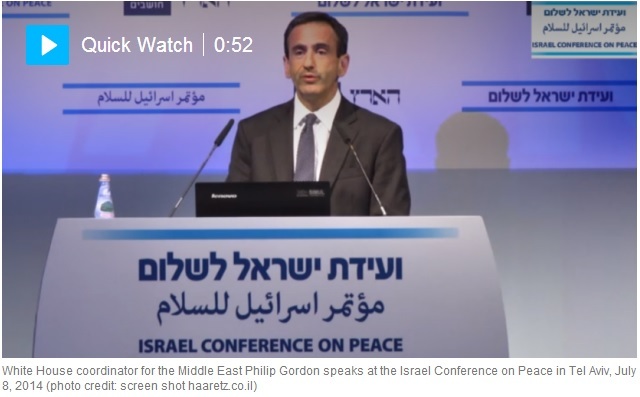 With rockets disrupting the conference, Gordon slammed Israel for failing to come to terms with the Palestinian Authority and dismissed Netanyahu’s security concerns — pointedly ignoring that PA President Mahmoud Abbas had just consummated a merger with Hamas, which his government had effectively sanctioned. This demonstrates that despite Netanyahu’s extraordinary, even painful efforts to appease Hamas and avoid war, we are still being bracketed together with the terrorists in a distasteful conundrum of moral equivalence and condemnation for ultimately fulfilling a government’s principal obligation — to provide security and protection for its citizens. This is reflected in the statement issued on Saturday by the UN Security Council and approved by all its members, calling for a cease fire without any reference to the cause of the crisis. Your equivocal response to our legitimate obligation to protect our citizens has profoundly disappointed the vast majority of Israelis. 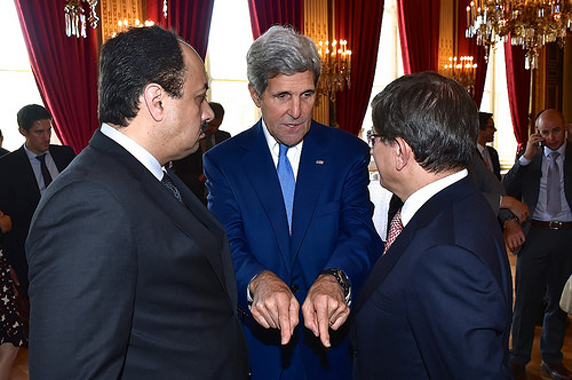 I therefore dispense with conventional diplomatic formalities and frankly convey our frustrations. Israel is the only democracy in which the rule of law applies in this turbulent region. We have avoided the carnage and mass murder that has enveloped millions of people in this region, which has been overwhelmed by the barbaric forces of Islamic fundamentalism. We have no desire to rule others and have repeatedly demonstrated a willingness to make sacrifices to achieve peace with security. We failed because our purported Palestinian peace partner is unable, and many believe unwilling, to make the reciprocal compromises required. We were even unable to conduct negotiations with him without releasing mass murderers whom he subsequently feted as national heroes. The PA then united with Hamas, an Islamic fundamentalist terrorist organization whose charter explicitly calls for the destruction of Israel and enjoins its followers to seek to kill Jews wherever they may be. It is Hamas controlling Gaza that launched missile attacks against us, obliging us to respond forcefully only after having provided them ample warnings to cease their barbaric onslaught on our civilian population. I ask you, President Obama, how would you respond if a region adjacent to the United States controlled by terrorists bombarded American civilians with hundreds of rockets daily? What would you consider to be a proportionate U.S. response to such an attack? Could you visualize instructing American military forces to make telephone calls in order to warn civilians to evacuate areas that were going to be targeted because they served as missile launching areas or terrorist command posts? Would you consider it appropriate to conduct targeted assassinations — as you have done in Afghanistan and elsewhere — against leaders directing missiles on American civilians and calling for the destruction of the United States? Finally, how would American civilians react if the U.S. government were to continue providing goods and services, including electricity, fuel and water to a neighboring regime that was simultaneously targeting its civilian population with missiles? We know that your honest answer to such questions would be that you would take whatever steps were necessary to defend your citizens and bring an end to the terrorist threat on your border — even if it were to result in major collateral damage to civilians. How would you respond to your allies if they urged restraint, calling you not to respond disproportionately and avoid being motivated by “vengeance”? I have no doubt that you and the vast majority of American citizens would be outraged and tell them where to go. I pose the same questions to European leaders and seek to ascertain how they would respond if terrorists on their borders were launching missiles into London, Paris, Berlin, or Brussels. By any ethical standard, Hamas represents the epitome of an evil jihadist Islamic fundamentalist regime. Its charter calling for the murder of Jews is backed up by a consistent record of deliberately targeting innocent civilians, whether by blowing up buses, cafés or shopping malls; abducting and murdering children; or firing missiles indiscriminately at civilian centers. Surely under the present circumstances and taking into account the terrible carnage as hundreds of thousands of innocent people are massacred in Syria, Iraq and elsewhere in the region by the jihadist counterparts of Hamas, we are entitled to expect that our allies would unequivocally distinguish between the aggressors and those defending themselves. There is no moral equivalency and to even imply that Israel bears some responsibility for the escalation of the current crisis by calling on both sides to exercise “restraint” is not just disappointing but a breach of trust between allies. It is surely now time for the United States and the EU to unequivocally support the forces of democracy against the forces of evil.